Ter promotie van de nieuwe Volvo V90 Cross Country (mooie auto!) 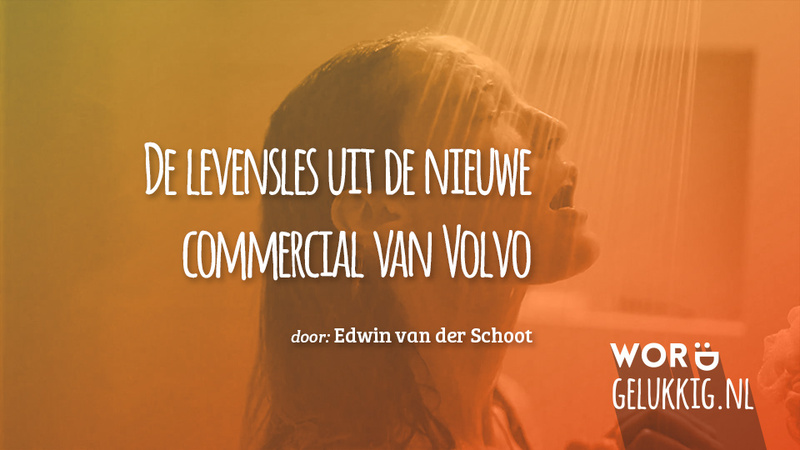 maakte Volvo een commercial met de originele audiofragmenten van de filosoof Alan Watts uit 1959 waarin hij mensen aanspoort om niet te leven in het verleden of in de toekomst, maar juist om NU te leven: “Live fully now”. Daar heb je trouwens niet per se een Volvo V90 Cross Country voor nodig. Wel een goed filmpje! My goodness don’t remember when you went first to school and you went to kindergarten and in kindergarten, the idea was to push along so to get into first grade and then push along so that you could get into second-grade, third grade and so on, going up and up. And then you went to high school and this was a great transition in life and now the pressure is being put on you must get ahead you must go up the grades and finally be good enough to get to college. And then when you get out into this famous world… Comes… the struggle for success in profession or business and again there seems to be a ladder before you something for which are reaching all the time. And then… Suddenly when are about forty or forty-five years old in the middle life you wake up one day and say.. Huh? I’ve arrived, and I feel pretty much the same as I’ve always felt, in fact I’m not so sure that I don’t feel a little bit cheated. Because you see you were fooled you always living for somewhere where you aren’t. And while as I said it is of tremendous use for us, to be able look ahead in this way and to plan. There is no use planning for a future which when you get to it and it becomes a present, you won’t be there you’ll be living in some other future which hasn’t yet arrived. And so in this way one is never able actually to inherit and enjoy the fruits of ones actions..
You can’t live at all..Unless you can live fully, Now.